It’s hard to eat well when you’re busy. The fast food industrial complex has given us plenty of unhealthy, cheap options that serve our immediate desires, but fail us in the long term. That’s what catalyzed 26-year-old Phil Pinnell to co-found Scratch, a line of complete meals with fresh ingredients that can be cooked in a flash. “There’s nothing better than receiving an email or phone call from someone saying their evening was better because of our meals,” says Pinnell. 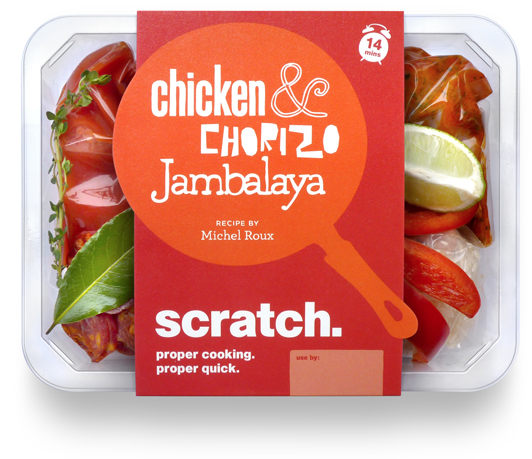 The U.K.-based company is getting a lot more of those calls now that they’re working with Michelin-starred chef Michel Roux, and selling their ready-to-cook meals at the Sainsbury’s grocery chain. Beyond the business goals, Pinnell says he is trying to stay true to the original idea behind Scratch: “To improve people’s evening.” This is his story.